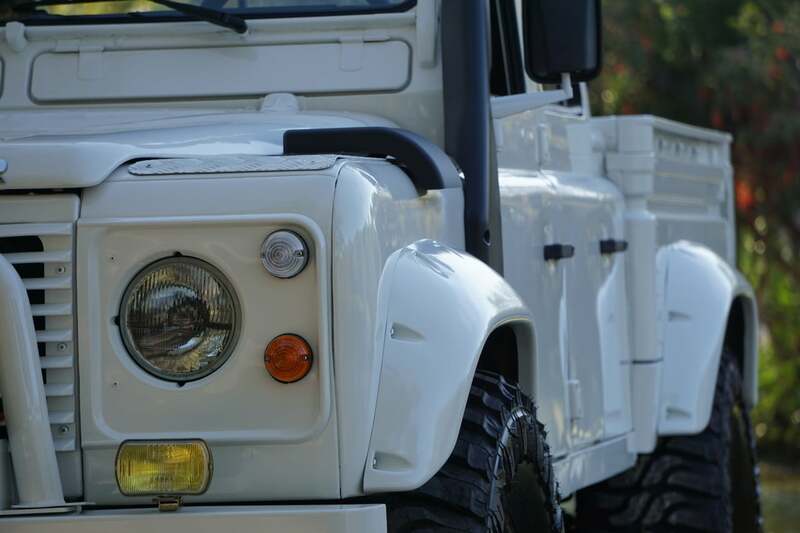 Rumor has it that this 1993 Land Rover Defender 130 was kept in the Canary Islands until November last year when the current seller imported it in the United States. 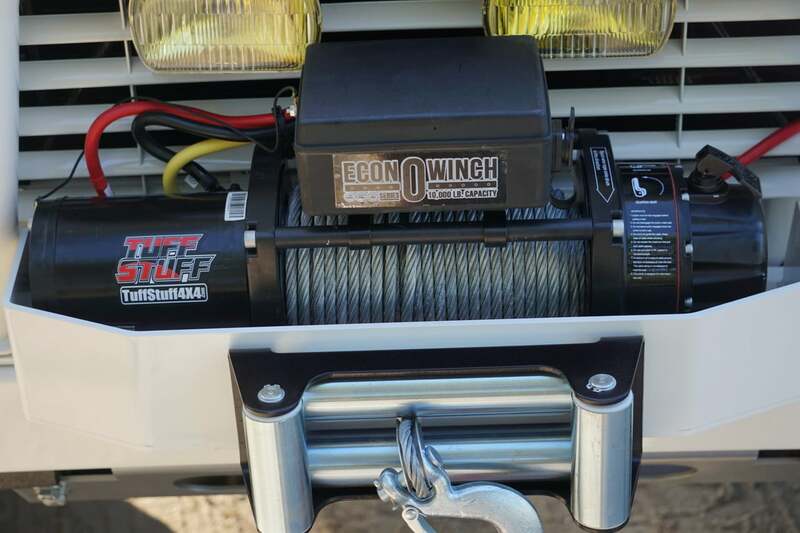 Now up for auction, this comes with a ton of aftermarket upgrades. 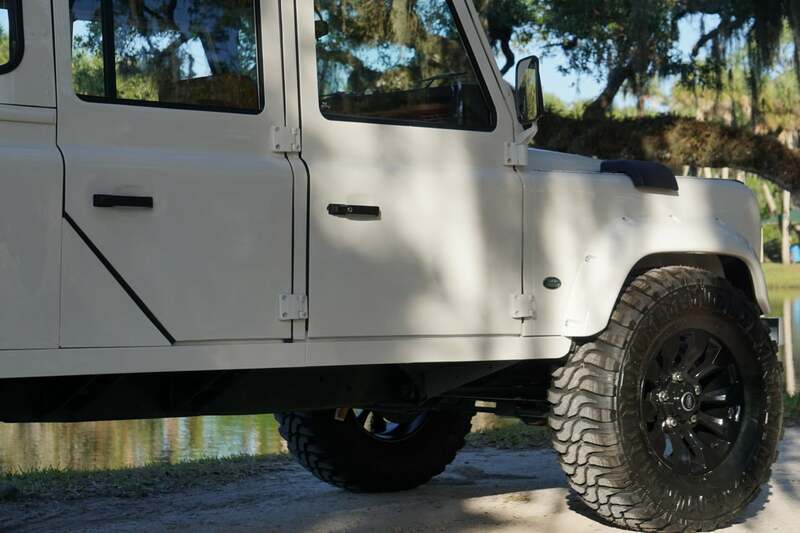 New fender flares and Sawtooth wheels are just two from its impressive roster of finishes. 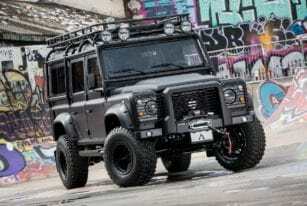 To be honest, finding a notable Land Rover Defender is quite difficult. 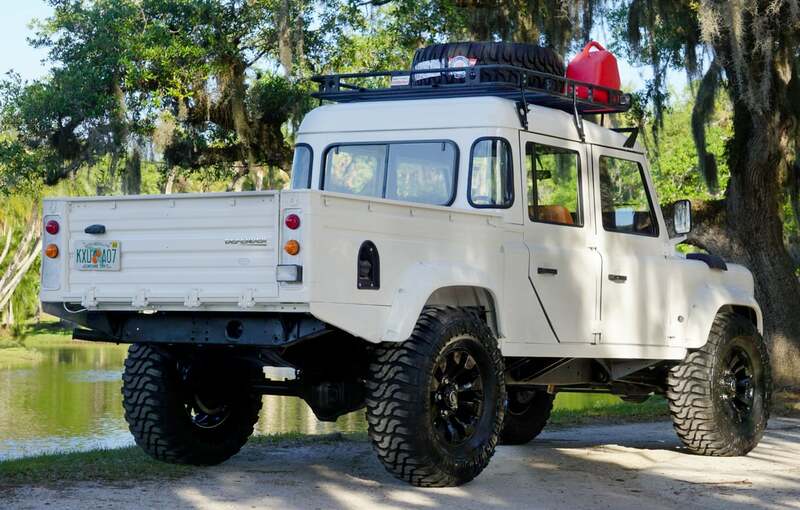 That’s no slight against the iconic vehicle at all, though. 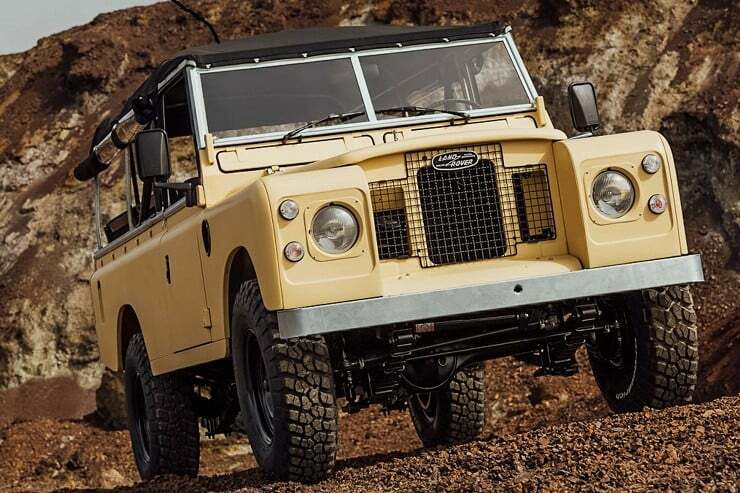 It’s just that there have been so many custom projects with the Land Rover Defender at its core, and some of them are misses. While some manage to strike the perfect balance between flir and power, other lesser examples fail to hit the nail on the head. Fortunately, this belongs to the former. 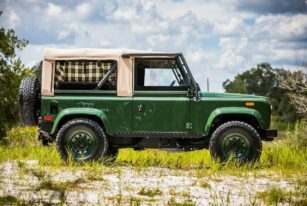 Dubbed the Alpine White 1993 Land Rover Defender 130 200Tdi, this left-hand drive boasts a 2.5-liter turbo diesel inline-four engine. 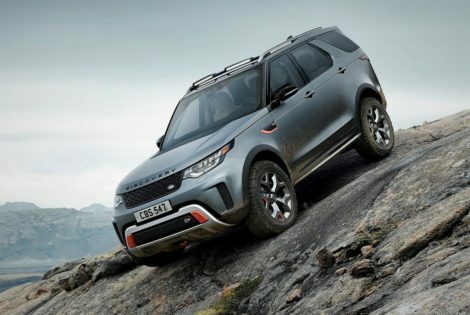 That drives all four wheels through a 5-speed manual gearbox, to add. 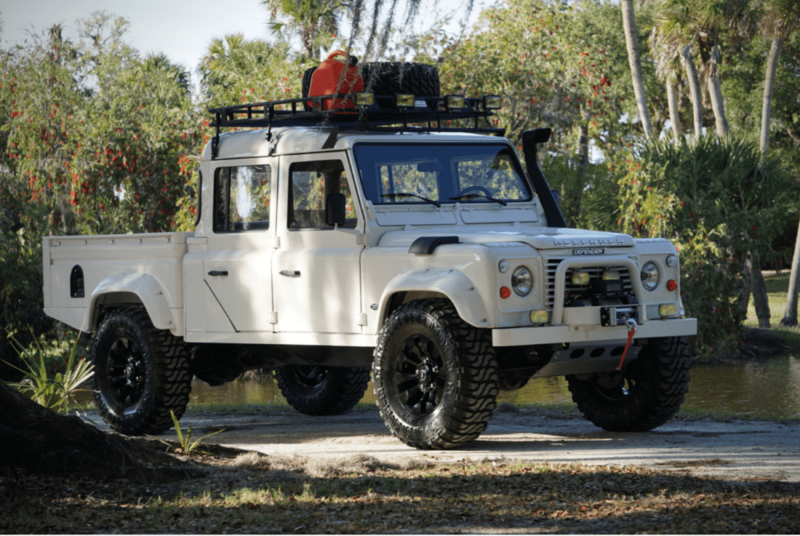 As we previously mentioned, it comes with revamped fender flares and a front bumper with an A-bar and 10k-lb, to boot. 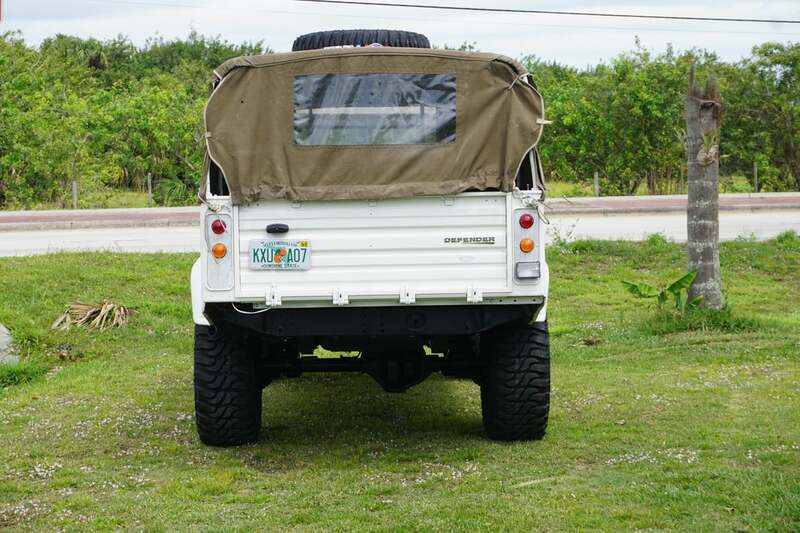 You also get a winch, a roof rack, a snorkel, auxiliary lights, and custom upholstery. 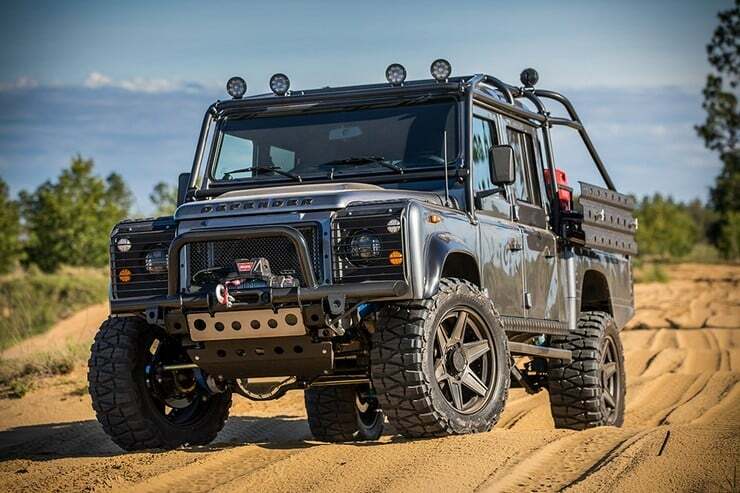 The vehicle sits on beastly powder coated 18-inch wheels with 37-inch tires. 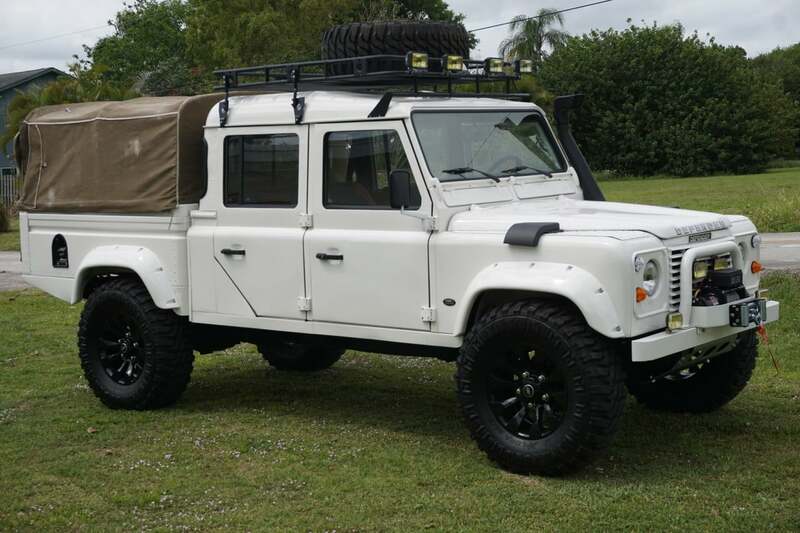 This Land Rover Defender 130 also comes with a canvas bed cover, period documentation, and a stamped maintenance book. 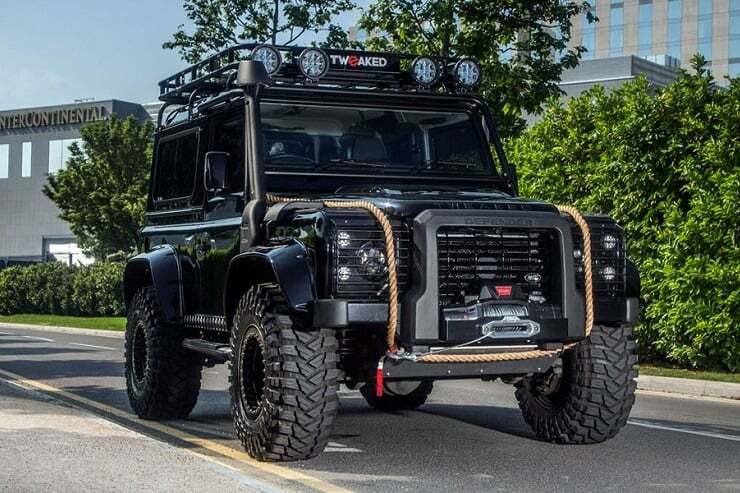 Plus all sorts of bells and whistles you wouldn’t expect on a Defender. Hit the link below for more information and photos of the car in question.